The CRB-2 Interactive Writing Tool turns any surface into an interactive display for a fraction of the cost of traditional electronic whiteboards. Simply attach the sensor bar above a television monitor, projector screen, or even onto an empty wall, and transform any room into an interactive workspace. The interactive pen allows you to draw, highlight, erase, annotate, and more. 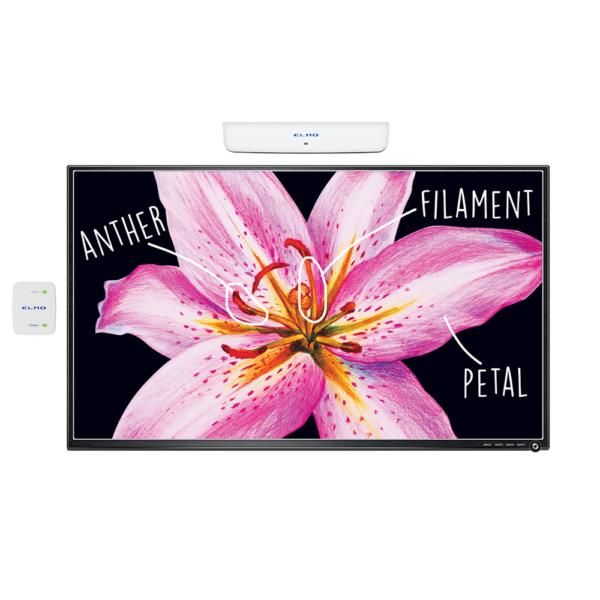 Connect your favorite ELMO document camera to the CRB-2 system and capture images or record videos while annotating your presentation. The whole solution (sensor bar, wireless transmitter, and interactive pen) weighs less than 1lb, making it the simplest solution available to quickly turn a non-interactive space interactive. Thank you! Your submission has been sent. © 2018 ELMO USA CORP. All rights reserved.